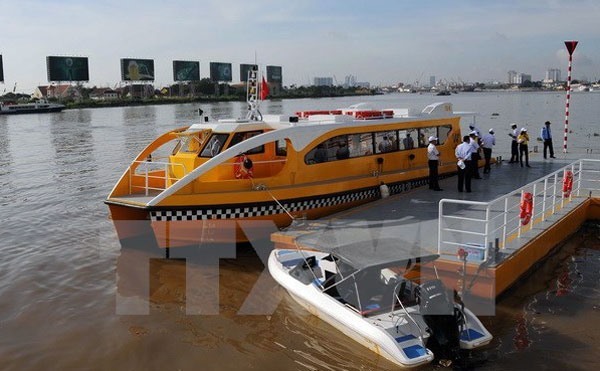 HCM CITY – Daily Limited Company, the operator of the delayed water bus service in HCM City, said the first boats would begin plying on Saturday. The first of the two proposed routes is between Bạch Đằng wharf in District 1 and Linh Đông in Thủ Đức District with 12 stations in between. There will be four vessels in operation each with a capacity of 80 passengers. Route No. 2 will be from Bạch Đằng to Lò Gốm wharf in District 6 with around 10 stations. The company has completed all its preparations and checks in readiness for the start of the service. The stations will be connected with the city bus network. The company has also proposed that route No. 1 should be connected with three electric bus routes to take its passengers to tourist attractions and residential areas. The city Department of Transport has submitted the proposal to the People’s Committee and Ministry of Transport for approval.